Is an Open Kitchen For You? For centuries the Kitchen was just a work space. Often hiding in the back of the house, cut off from the rest of your home. But many new Kitchens are stepping out from behind the wall, and becoming part of the view when you come through your front door. Just like everything in life, the decision to open up your Kitchen, or keep it separate is a personal choice. 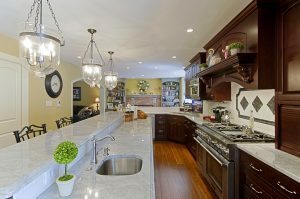 Let’s examine some of the pros and cons for both the open Kitchen and the traditional closed off Kitchen. Removing walls between the Kitchen and adjacent rooms is a great way to create an open feel within your existing space. Choosing an open Kitchen adds space to your home without changing the footprint – which saves you money! Open Kitchens provide you with more social time. They allow you to stay in contact with your family and guests and to interact with them while you’re preparing a meal or cleaning up the Kitchen. Removing a wall will open up your view of the rest of the house so you can enjoy more of your home more of the time. Young parents will appreciate being able to see their kids while they cook and do other household duties. An open Kitchen also benefits from more natural light after you tear down some of the walls. The light from the dining room or the living room, which usually have large windows, can fill your Kitchen with sunlight. Opening up your Kitchen also gives you the option of adding an island. Sometimes, closed off Kitchens do not offer the space required for an island. By removing a wall, you can add an island that will give you extra storage and a place for guests or your kids to sit while you are in the Kitchen. If you plan to stay in your home late into your life, or take in your aging parents, opening up your Kitchen creates a better traffic pattern, or fewer obstacles to navigate. More walls mean more cabinet storage, countertop work space, and room for appliances. 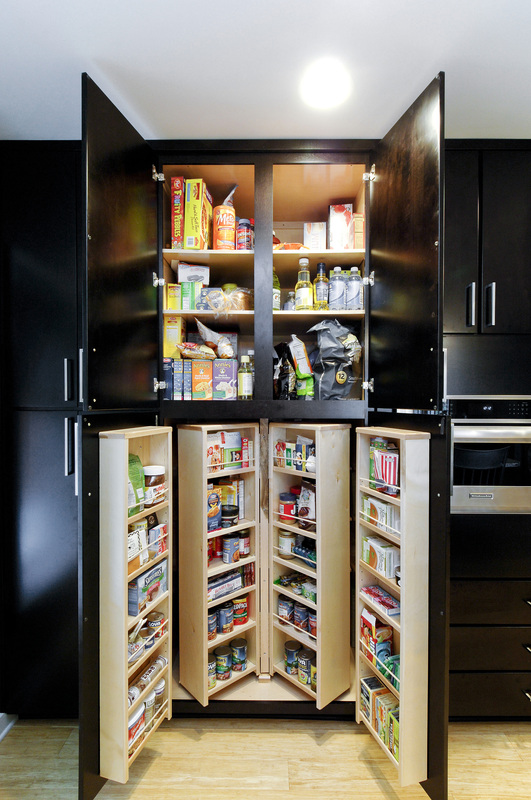 Keeping the traditional Kitchen allows you to have more storage and work space. 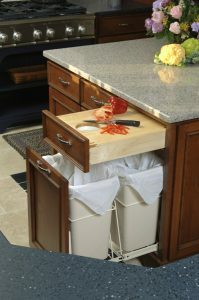 A traditional or closed off Kitchen makes it easier to hide or contain messes. With busy schedules, we don’t always have the time to keep the Kitchen neat and tidy. Keeping it closed off from the rest of the home helps you to look like a better housekeeper to guests entering your home. By keeping your Kitchen separate from the rest of your home, you can also contain the noise. Noise from appliances or clanking pots and pans won’t travel as far with extra walls to can help contain and limit noise. 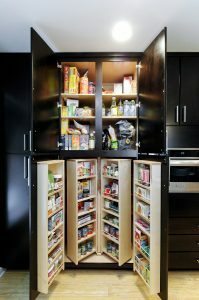 Your decision to open up your Kitchen is personal choice; however, there are some other factors that may play into that decision. However, if your plan includes taking down a load-bearing wall, it is not as simple, but definitely doable by a professional. Another factor to consider is what is behind the walls. After drywall is removed, you may discover plumbing water and drain lines, electric cables, low-voltage wires for intercoms, doorbells or sound systems, HVAC supply or return air ducts, and even dryer vent piping. All of these things would have to be rerouted to take down a wall. This job is best done by a full-service remodeling company. Gehman Design Remodeling has seasoned employees who know how to do the demolition and deal with all the things that need to be relocated. You don’t have to take down the entire wall to get a more open feeling. A half wall will open sight lines and bring in more natural light while still defining the different spaces. Half walls can also serve as an island to provide extra storage or serve as a bookcase or shelving. If you need help deciding what works best for you, or imagining what an open Kitchen would look like in your home, our team of design consultants can help. Please feel free to call us at 215-660-5635 for a free consultation.